Jake made his debut as a country artist in 2014 at Larry Joe Taylor's Festival, where he played what would become the first single, HIT THE ROAD. Jake and the band cut the song as a demo and it made its way onto local radio stations in Jake’s hometown of Corpus Christi, Texas, eventually reaching the top 30 and becoming one of the top 100 Texas radio songs of 2014. Increasingly successful singles followed, including IGNORANT BLISS (#16), and 4 consecutive #1 singles, TAKE MY HAND (#1 March 2016), LONELY STREET (#1 September 2016), RESTLESS (#1 September 2017), and NOT TOO FAR TO REACH (#1 February 2018). Four years after Jake and the band cut their first single, they have developed a reputation for high energy original songs, blending classic country with contemporary rock and rich harmonies. All of these qualities are on display in their live shows and recordings. The band released their first album, "Love Don't Live Here," in September, 2015 with ten original songs. The album bears the band's signature blend of Jake's soulful vocals with lead guitar by Paul Teltschik, country fiddle by Owen Fitzsimmons, and bass by Mitchell “Sunshine” Williams. 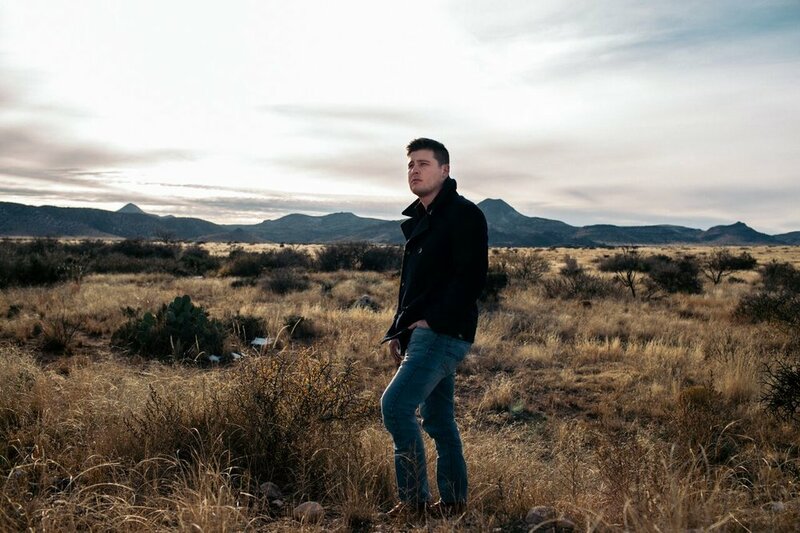 Jake Ward's latest EP, "Not Too Far to Reach" was released in October, 2017, and title track was #1 on Texas regional radio in February 2018. Growing up, Jake was surrounded by diverse musical influences. He fondly recalls sitting in the back seat of the car listening to Elvis, the Beach Boys, the Eagles, Johnny Cash, George Strait, and other performers from many eras and musical traditions. His great grandfather was a legendary local fiddle player in rural Oklahoma during the depression, and his maternal grandparents were missionaries who taught and recorded music. Jake performed for the first time at the age of 7 at church, and by age 10 had participated in several local musicals in Corpus Christi. The band headlines shows throughout Texas and plays with many of the biggest names in Texas.